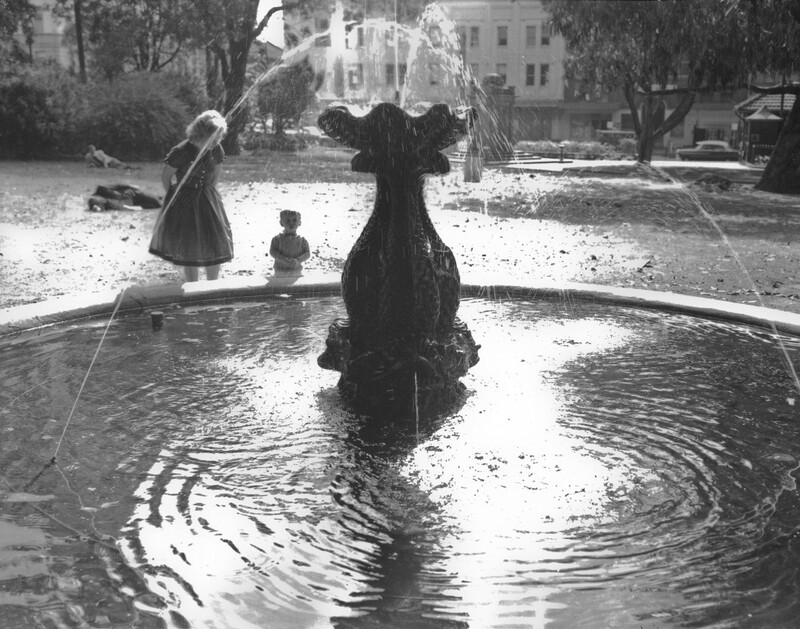 The John Baptist Fountain was installed by the 1860s in the Baptist Gardens in Redfern. 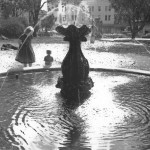 In 1888, the fountain was moved to Hyde Park North where it stands today. 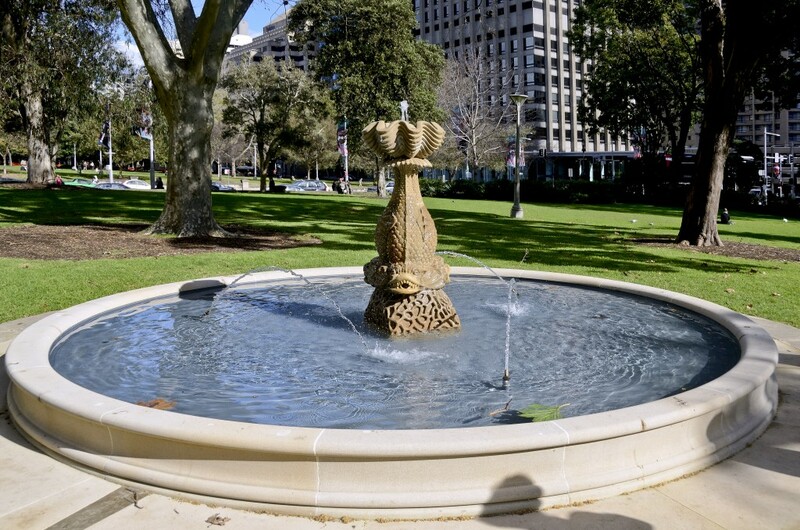 This fountain is of historic significance as the oldest extant locally made ornamental fountain in NSW and one of the oldest in Australia. 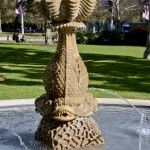 The fountain has a sandstone centrepiece of ‘coral’ surmounted by ‘three carp’, which support a clamshell basin on their tails. The centrepiece is situated in a large, plain ground basin with stone sides. 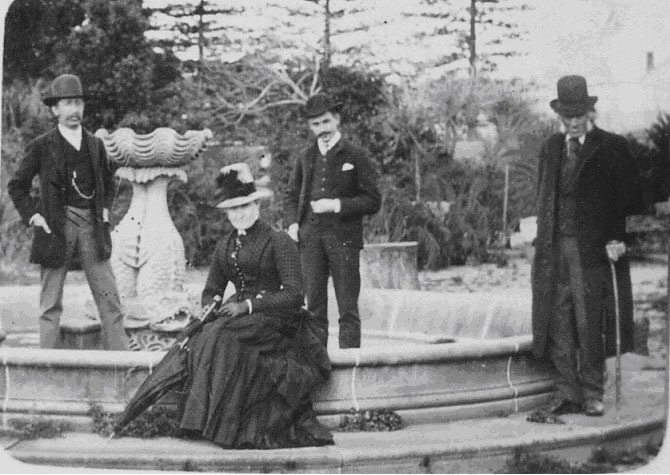 The fountain demonstrates colonial ambitions to emulate the most fashionable garden ornaments of the early-mid nineteenth century. Its local execution in sandstone displays the technical abilities of colonial craftsmen. 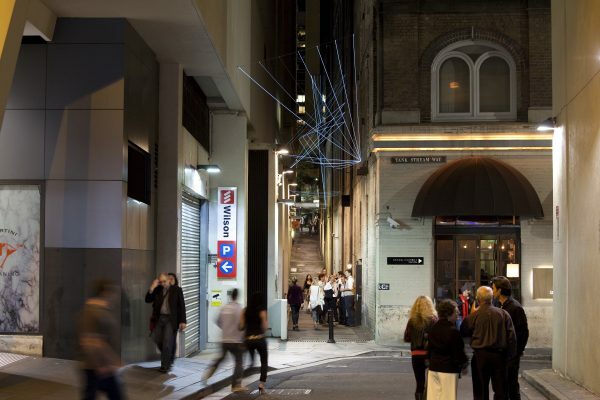 John Thomas Baptist (1804-1873) emigrated from Portugal to Australia, arriving in Sydney in 1829. 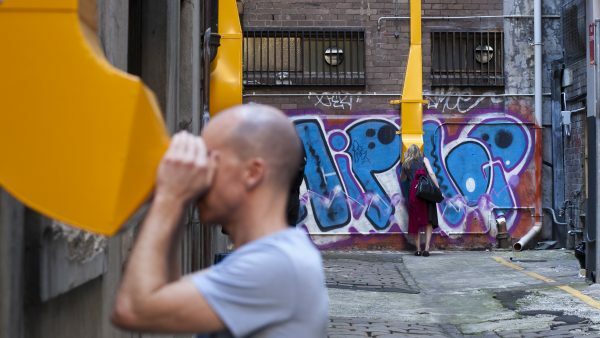 He came in the employ of Captain Charles Wilson, new director of public works for New South Wales. When his employer went insolvent eighteen months later Baptist formed a partnership with ex-convict Ned Shackley, who had worked in the Botanic Gardens. The pair opened a butcher’s shop and by 1837 and were also selling vegetables, from a market garden that Baptist established. Baptist expanded this business and gradually built up his nursery, which he named The Garden. 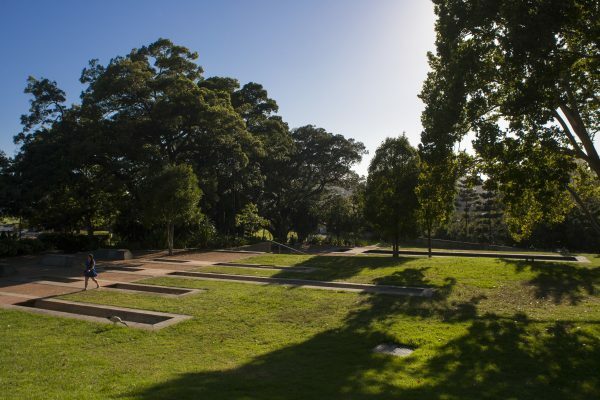 The Gardens, 40 acres of nursery and market gardens on Bourke Street, Redfern were a significant horticultural contribution to the colony as well as the first pleasure gardens. 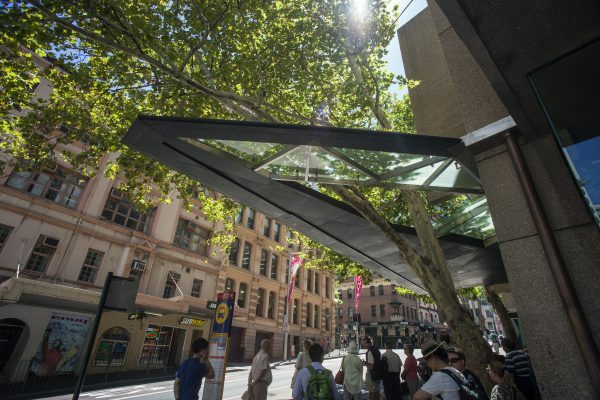 They gradually became the ‘show grounds of Sydney’ to which Sydneysiders flocked at weekends when they were open to the public. On weekdays The Gardens had a more utilitarian value as market gardens, nursery-supplier of seeds, plants, shrubs, and trees of immense variety and a source of cut flowers. 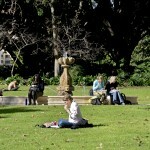 By 1860, according to the Sydney Mail, they had become ‘a horticultural institution within this city’ and ‘a popular resort for Sunday picnickers’. 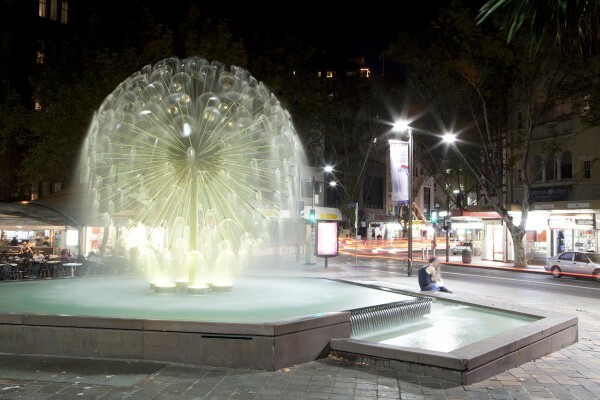 It was here that the John Baptist Fountain was first erected by the 1860s, although its artist and date of manufacture is unknown. After Baptist’s death, his son, John Baptist junior, continued to operate and develop the Baptist Gardens for some years. Finally, however he subdivided the Gardens and sold them off in lots at public auction. 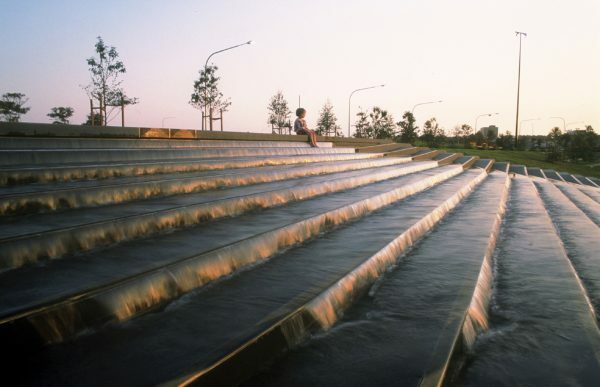 It was at this time that one of the garden’s other fountains and its gates were donated to Redfern Park, where they survive today. Large collections of plants were also given to the Botanic Gardens. 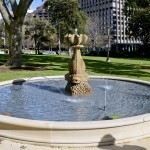 In 1884, the Fountain was donated by John Baptist junior to the Trustees of Hyde Park. 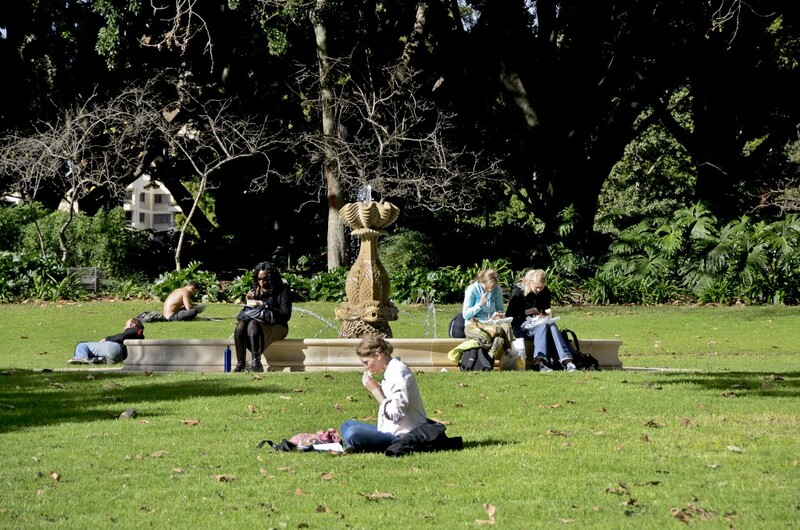 It was installed in Hyde Park North in 1888 for the centenary of European settlement. Major restoration work was completed in 2012. 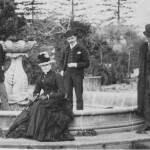 The inscription is on a bronze plaque, inlaid on the wall of the fountain: This fountain was presented by John Baptist of Redfern – August 1888. Richard Clough, ‘Baptist, John Thomas (1804-1873)’, The Oxford companion to Australian gardens, Oxford University Press in association with Australian Garden History Society, Melbourne, 2002, p73. 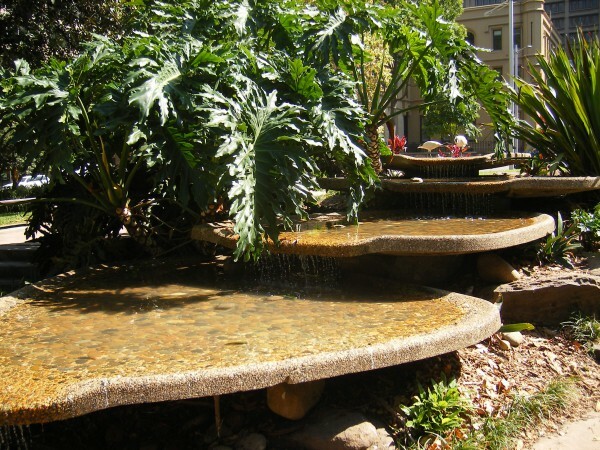 Fountains were a popular feature of many gardens in the mid-1800s, and they were usually imported. 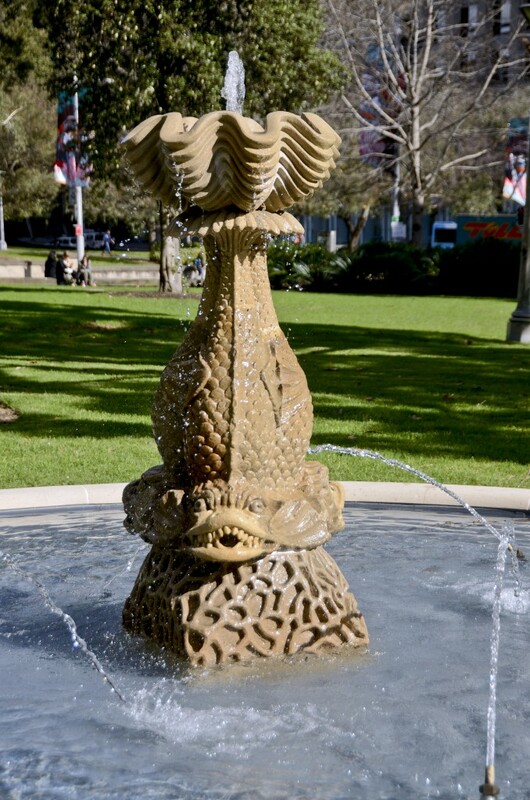 While this fountain draws from traditional European design, what makes it so significant is that it was created and carved locally using local sandstone.